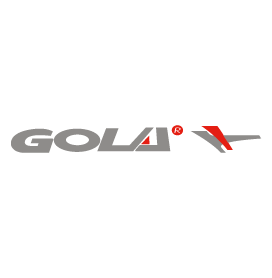 Gola are a premium activewear brand offering everything from sports clothing to bags, accessories and shoes. As part of our pledge to bring you a winning range of low-priced, top-brand shoes, we bring you a selection of Gola’s most popular trainers and shoes. 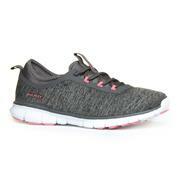 Gola produce high-quality, easy-fasten women’s trainers for those who enjoy leading an active lifestyle. 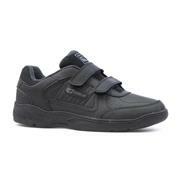 Their women’s and men’s trainers are designed with sleek, aerodynamic profiles, comfortable soles and timeless styles. Gola girls' trainers are designed to keep ever-growing feet protected, comfortable and supported on the move, whether that be a walk to the shops or playing in the park. With fun designs and funky colour options, we’re sure the little lady in your life will be jumping for joy to put Gola trainers on her feet. For future football stars, Gola football boots are extremely popular. With their premium design and lightweight feel, they're ideal for those kick-abouts on the park. Meanwhile, for everyday running around, our Gola boys' trainers are just the job. Our range of cheap Gola trainers will take you from the pitch to the track to the high-street and back again without even breaking a sweat. So, choose your Gola footwear today! With free delivery on all orders, you’ll be making a huge saving if you shop at Shoe Zone. 36 products from £14.99 to £39.99.